Hello, stamping friends! That’s quite the combination for a post title, isn’t it?! Well, I just couldn’t let you forget about the amazing FREE SHIPPING that ends today, Friday April 10th!! If you’re on the West Coast here, (PST), you have until 11:00 pm to get your order in, and pay nothing – nada- zilch – for shipping! I know I’ve said it before, but this is the PERFECT TIME to STOCK UP on the 2013-2015 IN COLOURS before they’re gone for good!! Yes, the Retiring List comes out on April 21st, but you know all the retiring in-colour stock will be gone before you even get out of bed!! C’mon folks – you’ll get free shipping, and you won’t be sad & disappointed come April 21st! It’s a win-win! Here’s a reminder of the gorgeous colours we’ll be losing (sob! sniff!) From left to right, there’s Baked Brown Sugar, Coastal Cabana, Crisp Cantaloupe, Pistachio Pudding, and Strawberry Slush. Okay – don’t say I didn’t warn you! 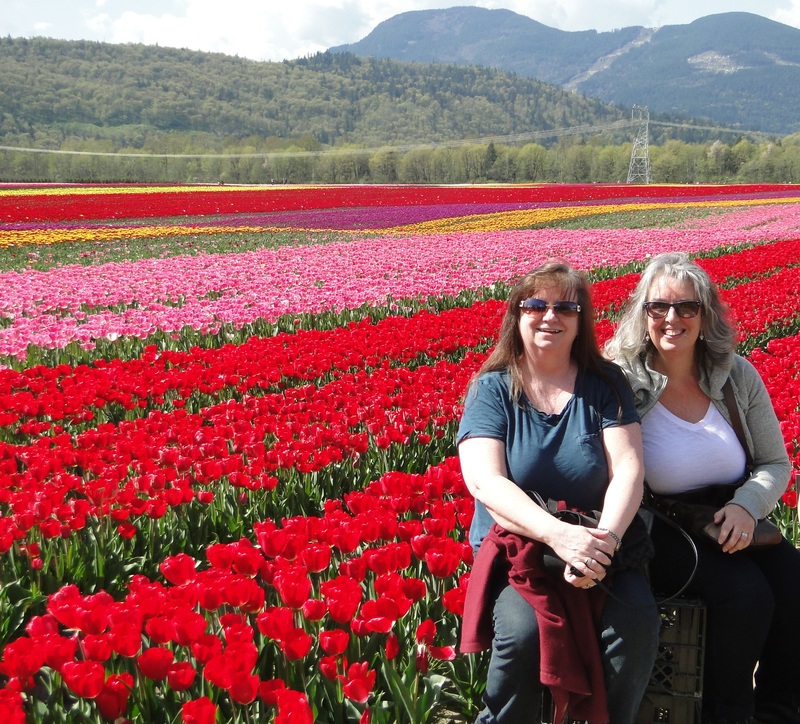 LOL Now onto cheerier things – my trip yesterday with my BFF Susan out to the Agassiz Tulip Festival! We planned this trip over 2 weeks ago, without knowing of course what the weather would be like, but keeping our fingers crossed. Well – it worked!! 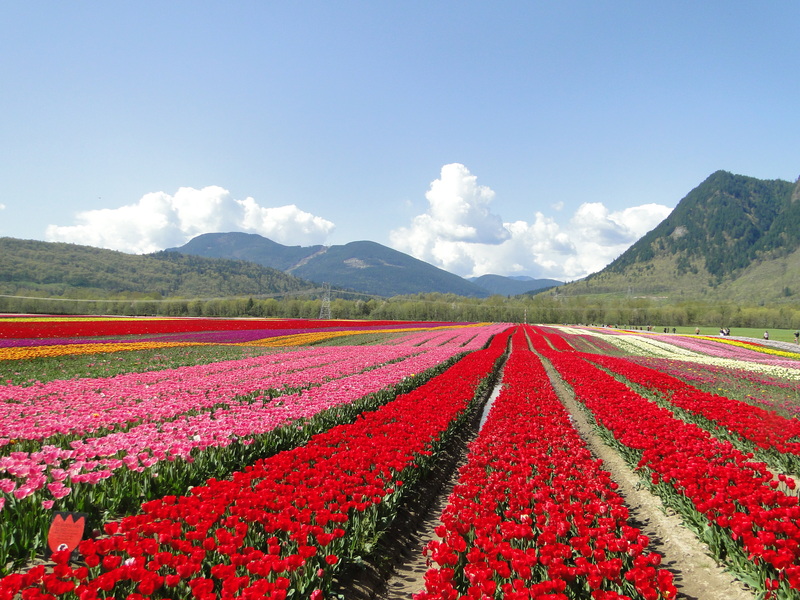 We had beautiful sunshine, a nice breeze to keep us from over-heating, and go-r-geous tulips to see – acres & acres of them!! 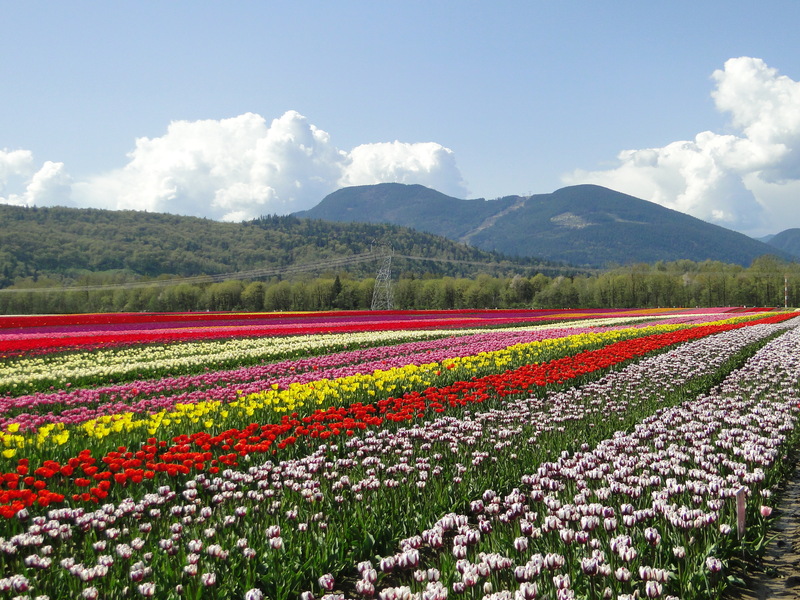 This is part of the tulip field; that’s Mt. 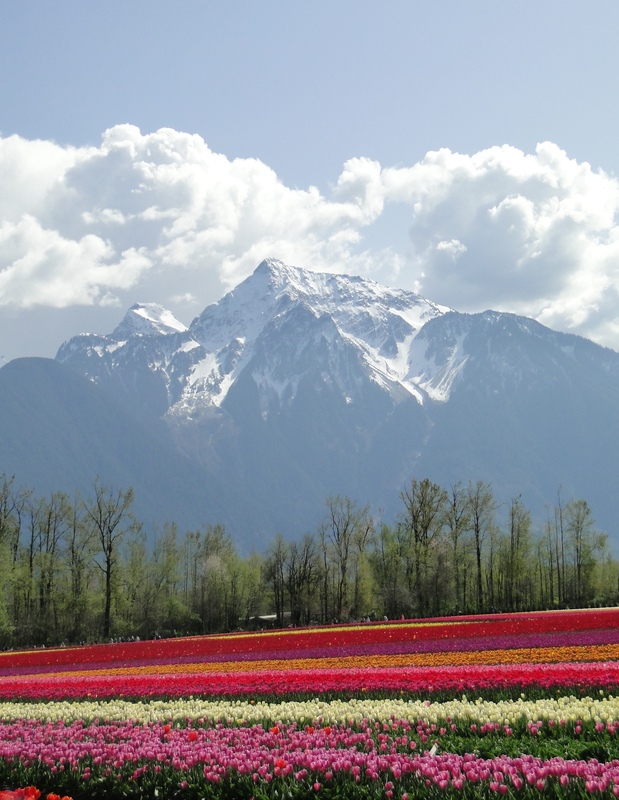 Cheam in the background. Spectacular! This is me (left) and my BFF Susan, trying to share a plastic milk carton, while a nice lady took our picture! 🙂 Everyone was helping everyone to take pictures – who wouldn’t want a backdrop like that?! And there was a gazillion (yes, that’s the number) of those selfie-sticks out there, too! It was well worth the 1 1/2hr drive to get there; and the place was jam-packed with people!! We left just before closing, and back at the parking lot (about a 20 minute walk from the field) there were still at least 3 bus-loads of people waiting to get to the fields, and they were turning away people who were still trying to come in to park! If you’re on Facebook, you can check out their page HERE – and plan a trip for next year! I will be back tomorrow to share a new card for the Watercooler Challenge; and I’m looking forward to seeing my friends in my Hooray It’s Your Day class Friday evening. Previous Previous post: Free Shipping Starts Today! 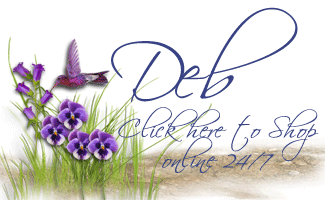 Oh my gosh, Deb, what spectacular pictures!! Thank you so much for taking the time to post about your trip. Just breathtaking!